Karen Bee is Nadeko Snake’s longer and more bearable cousin. The arc is of an overall higher quality than Nadeko Snake, but that quality is stretched across an absurdly indulgent seven episodes. By the time the arc finishes, you’ll have trouble remembering which moments were part of it and–more importantly–which even mattered. Most of the arc is a collection of decent (or even great) standalone scenes mashed together with a bit too much narrative freedom. So far, I’ve spent a lot of time talking about overarching and sometimes abstract concepts of style and narratology. 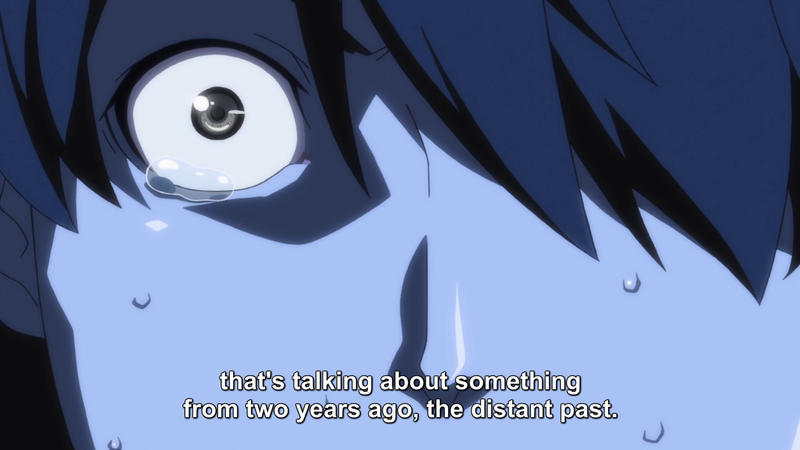 That’s all important and interesting, but I don’t think we can fully appreciate Monogatari without digging our nails into some specific scenes and conversations. The series isn’t just a bunch of a random moments arranged according to some grand scheme, after all. The tiny details are designed for their own purposes. While it’s easy to forget that the –monogatari series is a mystery series, it is near impossible to forget that it’s a harem series. However, it’s possible to forget that a (best) girl already won Araragi’s affection. Well, kind of…but ignoring Shinobu’s complicated bond with Araragi, Senjougahara is the only character who holds a serious romantic relationship with him. As the season wraps up, let’s put aside the more pointed essays of symbolism and story theory, and instead take a general look at how this singular romantic relationship is presented to us. Senjougahara has been busy dealing other apparitions all season, so she missed out on a lot of screen-time. The least I can do is give her an essay all her own. Let’s figure out what cool things are happening during Araragi and Senougahara’s phone call. 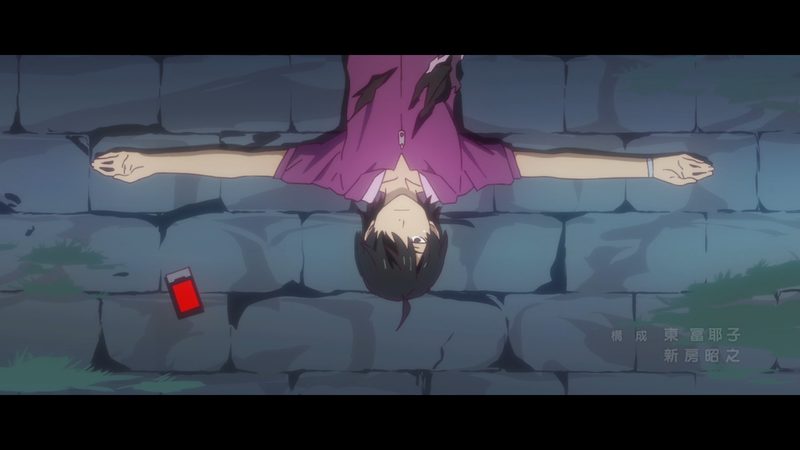 The –monogatari series has used surrealism and visual metaphor to express character intentions and emotions since Bakemonogatari. In fact, those moments of surrealism quite possibly define the series’ style better than anything else. There’s enough examples in every episode of the show to explain what I mean, but Episode 2 of Owarimonogatari stuck out to me. The proper introduction of a new character also makes it easier to get the point across. So let’s get into it.